My name is Anie Knipping, and I’m a social autistic, a layabout with Panic/Anxiety Disorder, and a terminal optimist with clinical depression. My sensory stuff is all over the place, and I’ve got synesthesia, which lets me see sound and taste colour. I love to educate people on all of it, but it’s not always easy to explain without pictures, so I published an illustrated book, ‘Eccentricity’, to do just that. 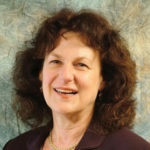 Alicia F. Lieberman, PhD, is the Irving B. Harris Endowed Chair in Infant Mental Health; Professor and Vice Chair for Academic Affairs at the University of California, San Francisco, Department of Psychiatry; Director of the Child Trauma Research Program at San Francisco General Hospital; and a former Board Member and President of ZERO TO THREE. 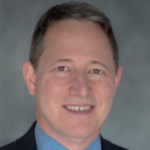 Dr. Lieberman is the developer of Child-Parent Psychotherapy, an evidence-based treatment for traumatized children from birth-5 years old that has shown efficacy in five randomized controlled studies. She has made major contributions to the field’s understanding of attachment, toddler development, and cross-cultural perspectives on early development through her research, writing, training, and consultation. Rosemary White has been an Occupational Therapist since 1972 and brings a wealth of clinical experience to every workshop she teaches throughout the United States and internationally in Canada, Europe, South Africa, Uganda and Australia. Rosemary is a true clinician’s clinician! Rosemary received her Neurodevelopmental Therapy training in London with the Bobaths, her Sensory Integrative Therapy training in Los Angeles with Dr. A Jean Ayres and her training in the DIRFloortime® with Stanley Greenspan and Serena Wieder, Ph.D. and the Faculty of ICDL. She currently owns and operates Pediatric Physical and Occupational Therapy Services in Seattle, Washington. Rosemary has her certificate in the DIR model and has been Senior Faculty on the Interdisciplinary Council on Developmental and Learning Disabilities (ICDL) chaired by Stanley Greenspan, M.D. 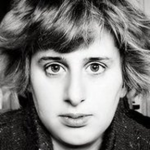 and Serena Wieder, Ph.D., since 2002. Rosemary is on the Clinical Faculty at the University of Washington in the School of Nursing Infant Mental Health Certificate Program. Rosemary is also Faculty in the ICDL Graduate School in the Ph.D. in Infant and Early Childhood Mental Health and Developmental Disorders. This is an on-line Ph.D. program providing education to professionals throughout the world. Rosemary is also Profectum Foundation Faculty. Beth Osten owns and directs a multi-disciplinary pediatric clinic in the Chicago area, which specializes in the treatment of infants, children, and adolescents with autism spectrum disorders and other developmental disorders. She has more than 40 years of pediatric experience as an occupational therapist. 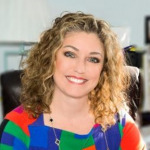 Beth speaks nationally and internationally on the DIR/Floortime model for treatment of autism spectrum disorders and has over 15 years of experience training professionals in the DIR/Floortime® model through ICDL and Profectum. Beth has taught many courses related to early intervention, autism, infant motor development, and sensory integration. 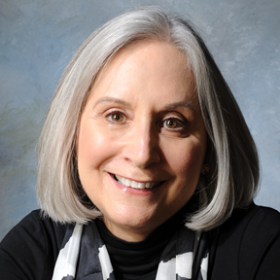 She contributed to the ICDL Diagnostic Manual for Infancy and Early Childhood and is a co-author of the Test of Infant Motor Performance (TIMP). Beth co-authored an ASHA certified training DVD, Assessment and Intervention of Communication in Children Birth-5: A Developmental Approach. Beth is currently completing a PhD in Infant and Early Childhood Development through Fielding Graduate University. 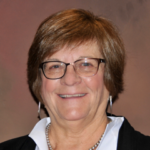 Barbara Kalmanson has 40 years experience working with infants, children and their families, as well as with schools and agencies serving children environmentally and developmentally at risk . She is a founder of the Oak Hill School in San Anselmo, California, a developmental, relationship-based school for children and adolescents with Autism Spectrum and related neurodevelopmental disorders. 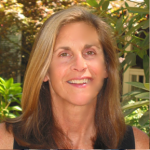 Dr. Kalmanson has extensive experience as a clinical psychologist, a special educator, and an infant mental health specialist, including work with the Infant-Parent Program at the University of California in San Francisco; The San Francisco Psychoanalytic Institute, Child Development Program; California Pacific Medical Center, Child Development Center and in private practice in San Francisco and Marin County. She provides interdisciplinary consultation to schools and agencies nationwide and internationally. Dr. Kalmanson is the recipient of a FAR fund grant for the Kids Attuned website, promoting the importance of healthy relationships in infancy and early childhood. She teaches infant mental health at the Stella Maris Institute, the neuropsychiatric institute of the University of Pisa medical school. 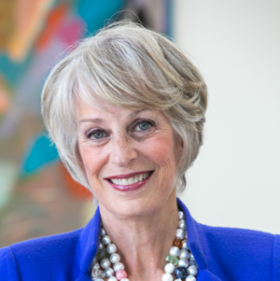 Dr. Kalmanson was the founding Academic Dean of the ICDL Graduate School, and senior faculty and for the Interdisciplinary Council on Learning & Developmental Disorders (ICDL). She’s served on multiple boards of directors including the Mayor’s Advisory Board on Maternal, Child and Adolescent Health in San Francisco, California. She received her doctorate in Psychology and Special Education from the University of California, Berkeley. Dr. Kalmanson is a recipient of the Zero to Three: the National Center for Infants, Toddlers and Families Harris Fellowship, The Frederic Burk Foundation for Education Fellowship and a National Institute of Mental Health Training grant. Her publications and presentations focus on early identification and treatment of autistic spectrum disorders, relationship-based intervention and the importance of family-provider relationships. Recent publications include: Infant Parent Psychotherapy for Early Indicators of Autism Spectrum Disorders:How We Know How to be with Others, In Bonovitz and Harlem (eds. ), Therapeutic Action in Child Psychotherapy, (in press) Echoes in the Nursery: Insights for the Treatment of Early Signs of Autism in a Baby Sibling, Journal of Infant, Child, and Adolescent Psychotherapy, vol. 8, no.1,2009, and Autism Assessment and Intervention: the developmental individual difference, relationship-based DIR/Floortime model, with Serena Wieder and Stanley Greenspan, Zero to Three, March 2008. 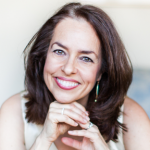 Deborah Reber is a New York Times bestselling author and the founder of TiLT Parenting, a website, top podcast, and social media community for parents who are raising differently wired children. Her newest book, Differently Wired: Raising an Exceptional Child in a Conventional World, came out in June 2018. She currently lives with her son and husband in the Netherlands. Director of the Interdisciplinary Training Institute, Los Angeles /Connie Lillas, PhD, MFT, RN is the Director of the Interdisciplinary Training Institute with a background in high-risk maternal-child nursing, family systems, and developmental psychoanalysis. She is a National Graduate Zero to Three Leadership Fellow and a Court Team Liaison for a birth to three-year-old Fostering Family Partnerships pilot promoting child welfare reform in Los Angeles. Connie has a full-time private practice, specializing in dual diagnosis across both developmental delays and mental health concerns. 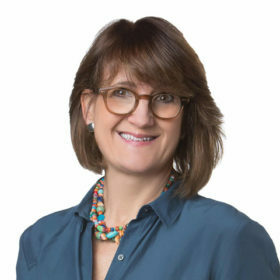 In addition, she trains locally, nationally, and internationally on the Neurorelational Framework (NRF, 2009) based upon her co-authored book—Infant/Child Mental Health, Early Intervention, and Relationship-Based Therapies: A Neurorelational Framework for Interdisciplinary Practice, which is a part of the W. W. Norton Interpersonal Neurobiology Series. Dr. Joshua Feder is a child and family psychiatrist with a clinical practice in Solana Beach, California. Associate Clinical Professor at University of California at San Diego School of Medicine, and Senior Expert with the Early Years. Dr. Feder conducts research and trains clinicians to promote regulation, social communication, and learning and he is engaged in peace building through support of early childhood development in conflict regions. 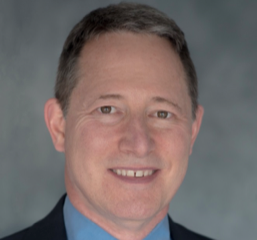 Dr. Feder advocates nationally and internationally on issues related to peace building, informed consent, and Evidence Based Practices, and he serves as Medical Director at SymPlay, developing interactive technology and distance learning systems to support relationship-based interventions. Dr. Feder is known as an engaging speaker and many of his lectures can be found online through joshuafedermd.com and circlestretch.com. 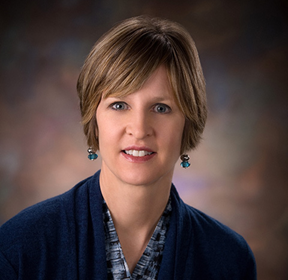 Traci Swink, MD is the co-founder and Medical Director of the Bridge Center in Marshfield, Wisconsin. The Bridge Center is a nonprofit organization that provides developmental intervention programs to children with autism and other special needs. Dr. Swink is a DIR model certified trainer in Wisconsin and a faculty member of Profecturm Academy and the DIR model Institute. Dr. Swink provides supervision and training for the P.L.A.Y Project as well as participating in regional and national P.L.A.Y Project professional training conferences. Dr. Swink is a pediatric neurologist who has dedicated the past 10 years of her career to helping parents cope with the challenges of autism and empowering parents to become the ‘expert’ on their child’s special needs. Mona M. Delahooke, PhD is a Clinical Psychologist specializing in the development of infants, children, and their families. 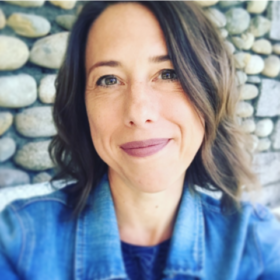 She has received specialized training as an infant mental health specialist, and works widely with multi-disciplinary teams supporting children with developmental or emotional delays. 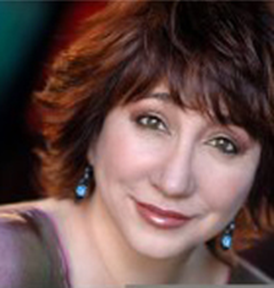 She is a faculty member of the Early Intervention Training Institute (EITI) of the Los Angeles Child Guidance Clinic. She is a senior faculty member and Mental Health Working Group Co-Chair of the Profectum Foundation. Dr. Delahooke also provides training to personnel in the Los Angeles County Department of Mental Health and the Westside Infant Family Network. Currently in private practice in Arcadia, California, she consults with parents, preschools, regional centers and school districts in the areas of developmental screening, assessment and intervention for children and their families. Michelle Garcia Winner, MA, CCC-SLP, Founder & CEO Social Thinking specializes in the treatment of individuals with social learning challenges and is the founder and CEO of Social Thinking®, a company dedicated to helping individuals from four through adulthood develop their social competencies to meet their personal social goals. Ricki Robinson, M.D., M.P.H. is co-director of Descanso Medical Center for Development and Learning in La Canada, California and a Clinical Professor of Pediatrics at the Keck School Medicine of USC. She has been in private pediatric practice for nearly forty years, specializing in children with autism and developmental delays for over twenty-five years. Dr. Robinson received her M.D. degree in 1973 from the University of Southern California. She trained in pediatrics at Children’s Hospital Los Angeles, having served as Chief Pediatric Resident for CHLA in 1976. She is Board Certified in Pediatrics. In 1988 she received her MPH from the University at Berkeley School of Public Health. She has been actively involved in the field of autism since 1990, developing multidisciplinary educational and medical programs for children with autism spectrum disorders (ASD) and devoting endless hours in education, legislation and research efforts on a national level. Dr. Robinson has been at the forefront of leading grassroots autism organizations. 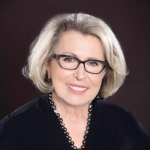 She was a founding board member of Cure Autism Now (now Autism Speaks) and the Interdisciplinary Council on Developmental and Learning Disorders (ICDL), and most recently Profectum Foundation. She was a member of the Autism Speaks Scientific Review Panel for over eight years. Dr. Robinson organized and chaired the first nationally recognized task force to define the standard of care for clinical trials in autism. The results of this outstanding effort were published in CNS Spectrums (January 2004, Vol. 9, #1). Most recently she was appointed as Medical Director of Profectum Foundation, an organization devoted to providing multi-disciplinary education and training for parents, families and professionals working with individuals with ASD across the lifespan. A nationally sought-after expert, she has appeared on the Today Show, The Talk, Larry King Live and Good Morning America Health in support of the needs of children and families with Autism Spectrum Disorders. She is an internationally recognized speaker addressing the needs of children with autism and other developmental delays to parent, professional and lay audiences worldwide for the past two decades. She is also the author of the acclaimed book Autism Solutions – How to Create a Healthy and Meaningful Life for Your Child (see www.DrRickiRobinson.com). Sherri Cawn, MA, CCC-SLP, clinical director of Cawn-Krantz and Associates Developmental Therapies (with locations in Chicago and Northbrook, Il), has over 40 years of clinical pediatric experience specializing in the assessment and treatment of infants, toddlers, and school-age children. 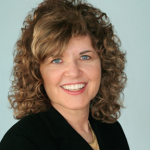 She is a leading practitioner of the DIR/Floortime® model in speech and language development and conducts trainings other professionals throughout the US and overseas on the concepts of this model. Sherri is the author of the self study DVD/Manual on the Assessment and Intervention of DIR/Floortime® produced by the American Speech and Hearing Association in 2011 and the self study DVD on the Assessment/Intervention of Developmental Language (2013)., In addition she is a co-author of Language Disorders chapter in the Diagnostic Manual for Infancy and Early Childhood and she is a co-author of the Profectum Parent Toolbox, (March 2016) an online free webcast series for parents and caretakers. 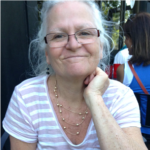 Sherri is a senior faculty member of the ICDL DIR FT, the Profectum (DIR/FT) Academy Online Training Program and adjunct faculty at the Erikson Institute. She received her graduate and undergraduate degrees from the University of Illinois. Sima Gerber, Ph.D., CCC is a Professor of Speech-Language Pathology in the Department of Linguistics and Communication Disorders of Queens College, City University of New York. She has been a speech-language pathologist for over 40 years, specializing in the treatment of children with autism spectrum disorders and other developmental challenges. Dr. Gerber is on the faculty of Profectum Academy and the Advisory Board of the New York Zero-to-Three Network. She has presented nationally and abroad on the topics of language acquisition and developmental approaches to assessment and intervention for children on the autism spectrum. Most recently, Dr. Gerber was a visiting professor at the University of Haifa in Israel.Dr. Gerber is a Fellow of the American Speech-Language-Hearing Association.